Zinc is a very important mineral for day-to-day living. Your body needs it in very small amounts. There are different types of zinc. Since elemental zinc isn’t well-absorbed by the body, it is attached to a chelating agent which binds to the elemental zinc and helps absorption. Chelated zinc is simply elemental zinc that has been attached to the absorbing agent. Should you be supplementing with chelated zinc? Zinc on its own is very difficult to be absorbed by the body. For this reason, zinc chelate is added to make the mineral easier to keep in the body. This zinc chelate might be made up of organic and amino acids which are natural ingredients. How does chelated zinc come to be? The process requires giving an organic molecule an electrical charge. This allows the molecule to attract the mineral, which then increases the concentration and complexity of the substance. These changes make zinc more easily absorbable by the body. 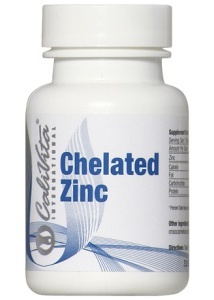 Chelated zinc helps your body by ensuring that you get the proper amount of the mineral. By attaching the zinc to an amino acid, usually one known as methionine, your body will absorb it faster. This is a great advantage over non-chelated zinc supplements. Which Type of Chelated Zinc Works the Best? Once the question “what is chelated zinc” is answered, there is another big question: How do you choose the right one? As with so many other supplements, different manufacturers use various processes to make their products. If you can find a label saying “zinc gluconate” or “zinc citrate”, you are getting very good chelated zinc. However, the best chelated zinc is known as “zinc orotate”, as it contains the highest zinc concentrations. If you have certain medical or physical conditions, you might be helped by chelated zinc. Wounds heal faster with zinc and you might have better night vision. A lack of zinc can lead to a suppressed immune system which leaves you prone to infections. You might also experience problems with your reproductive organs when you don’t have a proper amount of zinc intake. When you are pregnant, it is vitally important that you are getting enough zinc. That’s because low levels of the mineral might lead to birth defects. On the other hand, large amounts of chelated zinc can also cause the problem. It is very important to check with your doctor to be sure you are taking the proper amount of zinc during pregnancy. The ways that brands make chelated zinc supplement vary. It’s important to always read the label of the product and discuss with your doctor before taking. The following table is the recommended dietary allowance (RDA) for zinc taken by mouth, according to National Academy of Sciences. You can actually overdose on chelated zinc and the result is not pretty. Headaches and vomiting, as well as a metallic taste in mouth, are the first signs you have taken too much zinc. Sudden reactions to chelated zinc include chest pain, fainting, shortness of breath as well as a yellowing of your skin and eyes. Taking a massive dose of zinc could actually be fatal, so be careful to use the supplement only as directed by your physician. When you take chelated zinc, be aware of your diet. Some foods will counteract the zinc, making it tough for your body to absorb. Foods that contain fiber (such as bran, whole-wheat and cereals), milk and poultry can negate the effects of chelated zinc. You should also avoid taking any supplements that contain copper, phosphorous or iron the same time when you take the zinc. Make sure you have at least a two-hour window between having the problem foods or supplements and taking the zinc. It might be the best to take zinc at night, before you go to bed. It is possible to take too much chelated zinc, and sometimes the side effects of even normal dosages might bother you. Here’s what to expect from the side effects of zinc. Your digestive system might have an unpleasant reaction to zinc. Symptoms might include indigestion, nausea, vomiting, diarrhea and heartburn. White blood cells help fight off infection, but too much zinc might decrease the white blood cell count. The result can be flu-like symptoms, including fatigue, weakness, sore throat and chills. If you have any problems with your kidneys, zinc might be filtered properly, and that can lead to urinary tract infections or other problems with urination. This is especially true for men, as chelated zinc might lead to an enlarged prostate which then leads to difficulty in urinating.